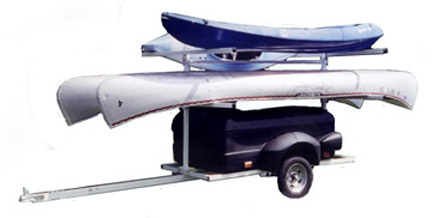 ALL OE THE BELOW CARGO BOXES AND CARGO ROOF RACKS FIT OUR TRAILERS. 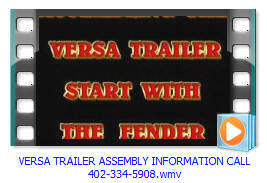 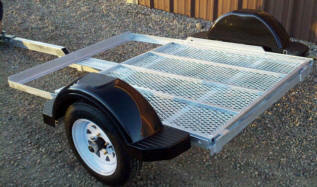 VERSA TRAILER AVAILABLE WITH WOOD DECK, OR ALUMINUM, OR NO DECK. 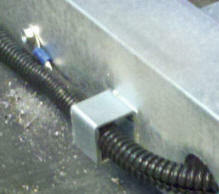 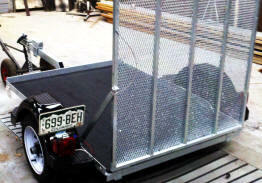 THE WIRING LOOM PROTECTS IT FROM DAMAGE AND FITS INSIDE THE 11 GAUGE STEEL GALVANIZED TRAILER TONGUE. 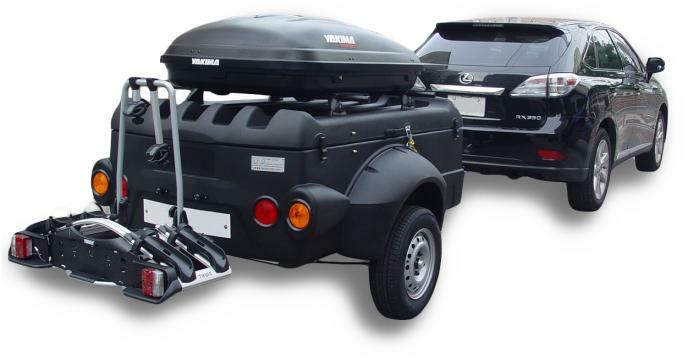 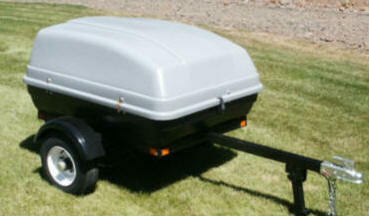 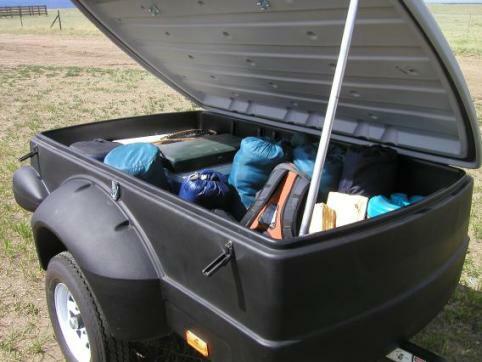 VERSA TRAILER IS AVAILABLE IN 5 COLORS AND CAN CARRY MANY STYLES OF CARGO BOXES. 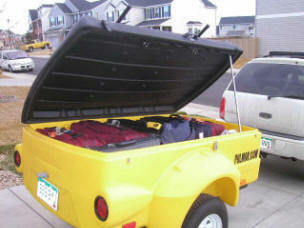 PHOTO IS VEE BOX AND A BURBAN BOX. 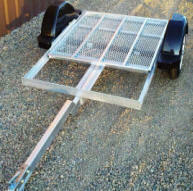 VERSA TRAILER WITH REAR RAMP FOLDED DOWN ON THE GROUND. 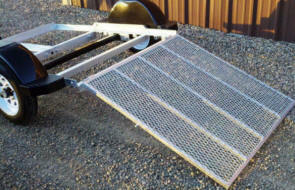 RAMP REMOVES IN 10 SECONDS WITH LOCK PIN. 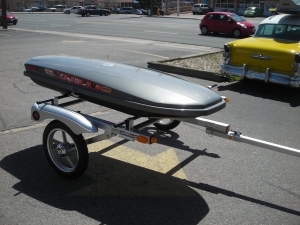 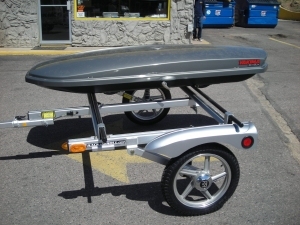 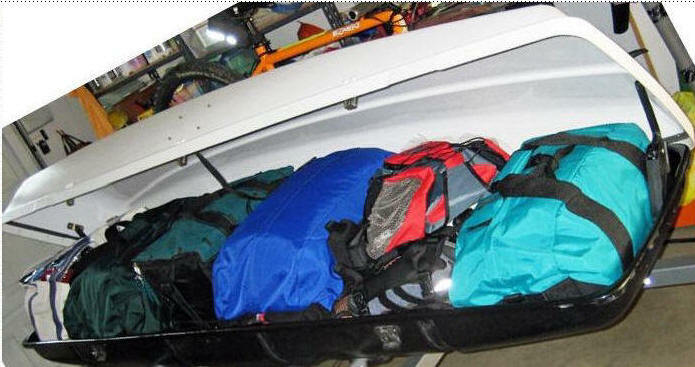 CARGO BOX AND A CANOE OR KAYAK AT THE SAME TIME ON OUR VERSA TRAILER. 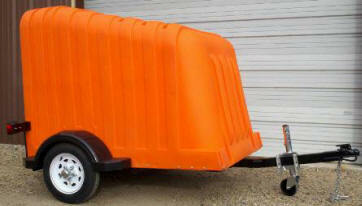 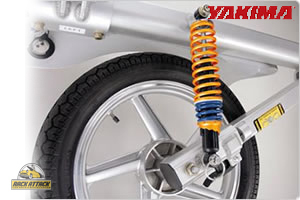 CARRY UP TO 1000 LBS. 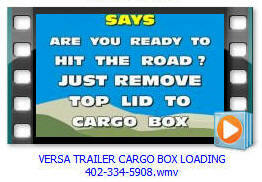 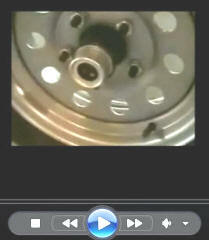 WATCH A 30 SECOND MOVIE ON HOW EASY IT IS TO OPEN AND CLOSE THE CARGO BOXES WHEN MOUNTED ON A VERSA TRAILER. 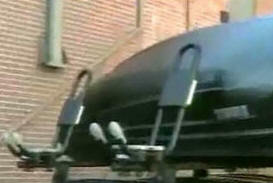 WEIGHT ONLY 345 LBS. 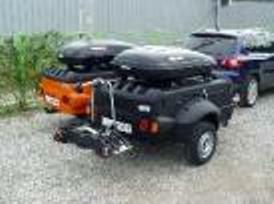 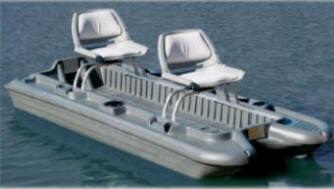 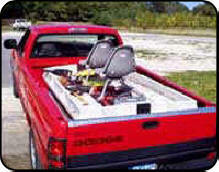 ADD A COARGO BOX OR A ROOF RACK.